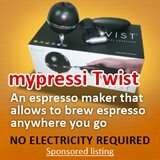 Capresso coffee grinders, how to get cheap and good? 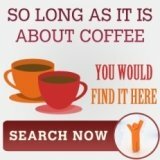 Capresso coffee grinders, are they any cheap and good ones? Mentioned capress coffee grinders and people that are in the know would talk about the Infinity. The one that can produce good consistent grind, and comes with 16 settings from fine to coarse. This is a good grinder, but this is not the objective of this article, we would like to get it cheap and good. So, infinity at $140 does not really fit into this category. Sure, capresso has some good bargain at $20 for its Capresso 501. But, this is a blade grinder and we know that to get a better and more even grind, we should go for a burr grinder. So, this 501 is cheap but cannot be consider good. Of all the capresso coffee grinders, that can achieve both cheap and good, the only one that comes to my mind is the capresso 551. First, let's explore the slightly negative feedbacks on the capresso 551. It might be a plus point to some, but generally light weight means plastic and not durable. Unfortunately, this is what 551 capresso coffee grinders come across, although, not much was said on its frequent breakdown (so you make the decision on its durability). 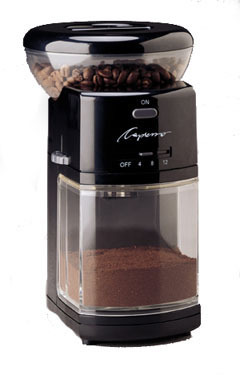 Then, as in all burr grinder, beans tend to get caught in the grinder. A common problem, not exclusive to Capresso 551. 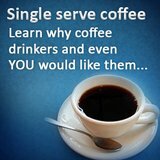 Moreover, this problem can be easily solved with a nudge or a quick shake on the capresso grinder. And that's the negative feedback on the 551 capresso coffee grinders. Then, this machine has very simple handling process, in fact, it is so simple to use that it doesn't even comes with instruction manual! The rest of the features are similar to most full size grinder, with 17 settings (not that much different from Infinity, right? ), a programmable timer, pulse control and a 8 ounce capacity. So far, we cover the "good" portion, in your mind, you might be thinking on the "cheap" portion, one of the dual objective that we want to accomplish with this article. Now, hear this: all these function and the consistent grind of a burr grinder is below $50. With some searching and in depth research, one can probably get this at $45. Yes, this burr grinder is only slightly more expensive than the capresso 501 and so much cheaper than those infinity capresso coffee grinders. 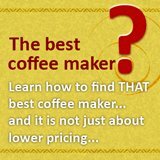 Now that you know how to get grinders cheap, wanna know how to get coffee makers at good price?